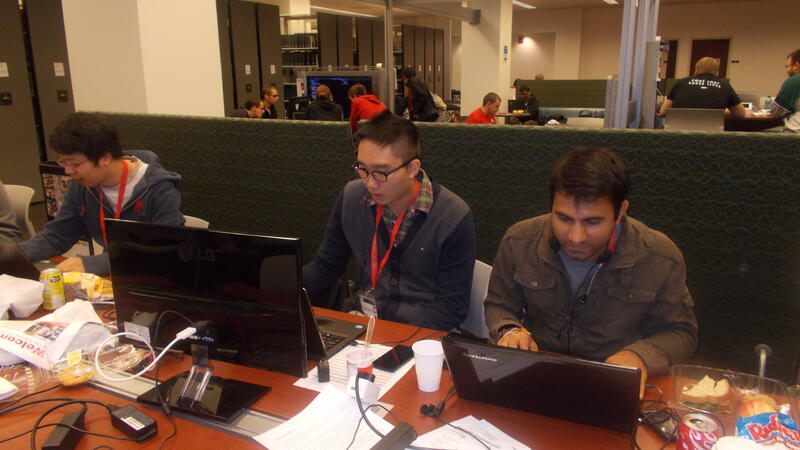 During the weekend of October 3-5, The Ohio State University hosted its annual "OHI/O" Hackathon which attracted a variety of talented programmers. 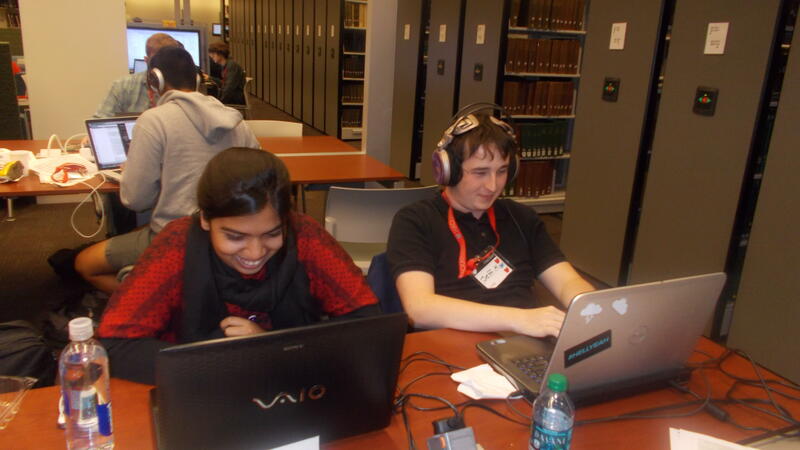 Over the course of the weekend, the teams brought their innovative ideas to life through numerous lines of code. The coding took place in the basement and third floor of the Science and Engineering Library, and both of these locations were filled with students mapping out their logic on whiteboards; staring diligently at their computer screens typing away; or taking an occasional nap and food break. Six of the countless creative ideas from the event are listed below along with a picture of the corresponding group. For the many people that would like to protect their phones from thieves and children, the lock-screen app would be a useful tool. 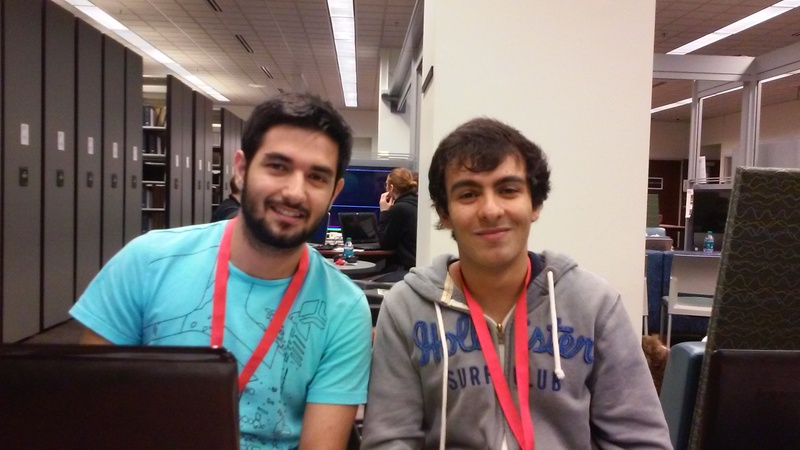 The team creating the app described it as a way to disable specific apps on a phone at certain times. For example, a bank account application could be locked when someone did not need it in order to prevent accidental or unintended withdrawals. Additionally, this app would be great in keeping a younger cousin or sibling from continuously sneaking away your phone to play candy crush saga. As challenges have become a huge trend on social media lately, one group decided to create an app exclusively devoted to sharing and viewing challenges among friends. 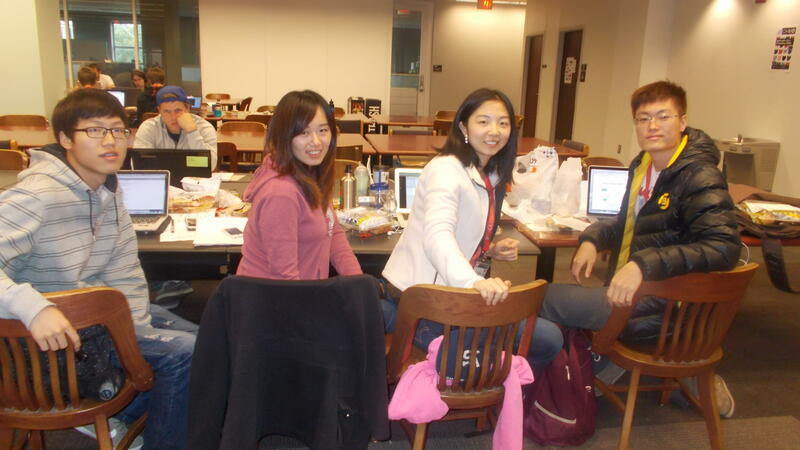 The app would include features allowing users to invent their own challenges for friends. Also, users would be able to upload proof when they had completed a challenge. This app is geared toward indecisive people who love to watch movies and also presents a quick solution to selecting a movie that a group of friends can all agree upon. Users login through Facebook, and the app will use the most popular movies among the user's friends in order to recommend a possible movie back to the user. Also, the team indicated that the app would not just use specific ratings in order to choose the movie; rather it would use actual comments and written reviews. Anyone who has ever been on the blocks meal plan knows about the annoyance of constantly aiming for a multiple of $5.00 as their item total. Some students end up so fed up with this process that they just throw away the extra money on their blocks. 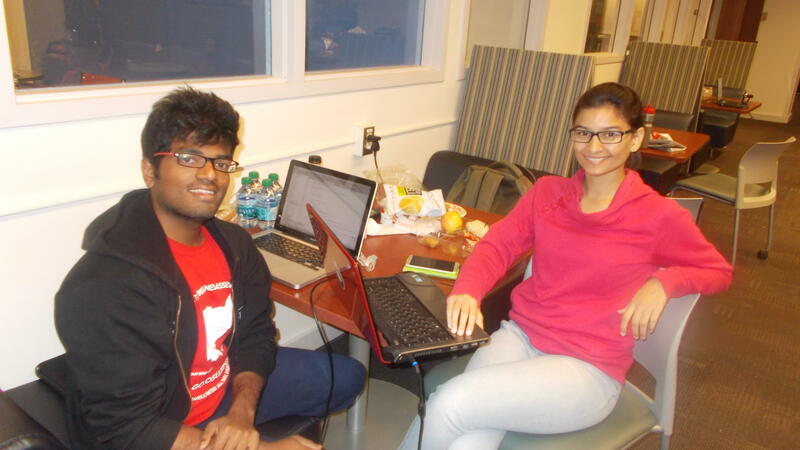 As a solution to this problem, two students worked to develop an app that will maximize the amount of food that one could buy with a certain amount of blocks. Users could enter each food item that they wanted to buy and the app would assist in providing efficient spending suggestions to eliminate wasted money. 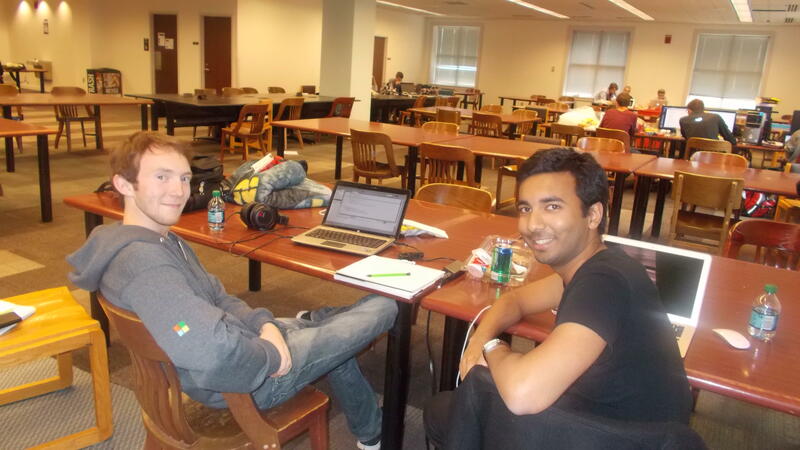 Building upon Dropbox for businesses, two students worked to reduce repetition in data storage. In Dropbox, users have files saved to their computer and also saved to the cloud. As this can be somewhat repetitive, the team wanted to hold the majority of the data on the cloud and users could retrieve data as they needed it. There would be placeholder folders for the specific files that could be downloaded instantly from the cloud when needed, but they wouldn't waste space when they were not in use. The idea would greatly save storage space on the user's computer. Props given to all of the teams who participated in the event, and all OSU students should be on the lookout for some of these apps to hit the Android and iOS market.